One of our e-talers was surprised to receive a luxuriously-wrapped package at his home recently. Curious, he opened the envelope — to find another envelope. The inner envelope was titled: “Our selection of Orcon@home plans”. Inside was a glossy brochure detailing Orcon’s plans for consumers. There was also a letter, explaining the offer in greater detail. It stated that most telcos are “more than happy to offer an average service to as many people as possible”. It went on: “At Orcon, we’re just the opposite. We choose our customers very carefully”. It also stated that: “We’re offering a select number of people a remarkable new service called Orcon@home”. Our e-taler was flattered he was one of the chosen few, but Orcon didn’t choose very well — he doesn’t own a PC and therefore isn’t a candidate for Orcon’s broadband offerings. • E-tales’ editor has been considering Orcon’s offer, too — I’m not sure if I’m special enough, but, as it turns out, it’s academic as my house is 5km from the exchange and Orcon’s ADSL2+ service’s extra speed would have dropped off to nothing by the time it reached my home. Mind you, the house is actually only 0.5km from the nearest exchange, but, strangely, this is not the one it’s connected to. I don’t rate the chance of getting Telecom to change this to facilitate connection to a rival, though. E-tales got a reply to our query last week as to whether anyone had heard of Archie — in relation to our Advanced Retrieval e-tale about pre-web internet programs. Well, Mark Clayton has. 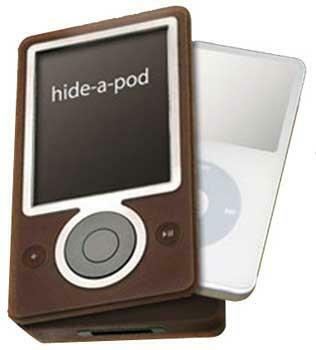 Zune, the Microsoft, not-very-successful, me-too iPod look-alike has a new use — as an iPod cache. One of our e-talers recently came upon an amusing site that seems to be a Firefox ad site which suggests that in using Microsoft Explorer, E-tales’ editor is using the uncool browser equivalent of a Zune instead of a cool iPod — I’m not so sure about this, though, having recently had a two-year-old iPod go kaput for no reason. The Apple image is now a little tarnished in this e-taler’s mind. 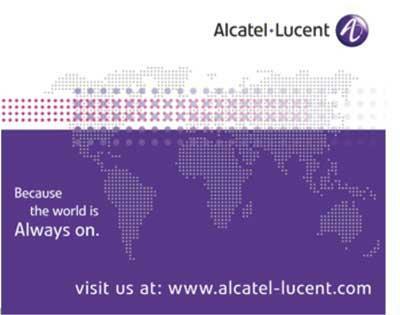 E-tales’ readers will be breathless with excitement to learn that Alcatel-Lucent has a new advertising slogan. Indeed, it’s had it since April; we can’t think how we missed it. The new slogan is: “Transforming communications for a world that is Always On”. It refreshes the previous slogan: “Because the World is Always On”, A-L tells us, adding the already overworked verb “transforming”. Speech notes are usually provided to the media these days for any address being given by a minister or other high-ranking politico. Journalists are usually instructed to “check against delivery”. But, looking at some of these “notes”, one can’t but wonder how the speakers manage to stumble through the bizarre spellings and punctuation — or even whether the delivery might, perhaps, have preceded the notes. For example, the notes for a recent speech by ICT Minister David Cunliffe have him referring to “multi-model” fibre, when our e-taler heard him say “multi-modal”. And what exactly did he make of: “integratetic sector development it’s being crucial to the government right through this process”. This may not be quite verbatim, but there’s obviously something very strange going on here. Maybe someone’s been watching too much Dr Who.